It’s not rare for a person to try and pass a piece of art off as their own, it’s rare for an artist to be charged 5 million dollars for saying a piece is not theirs. Peter Doig is a rare artist. The celebrated Scottish painter is being ordered by a court to disprove the claim that he is the artist behind a 40 year old painting of a desert landscape. The owner of the painting, Robert Fletcher, claims he bought the piece from an inmate at the Thunder Bay Correctional Facility in Canada while he was a corrections officer. He allegedly spent $100 on the piece, a piece that he estimates is now worth millions because of the artist he purchased it from, a Peter Doige. 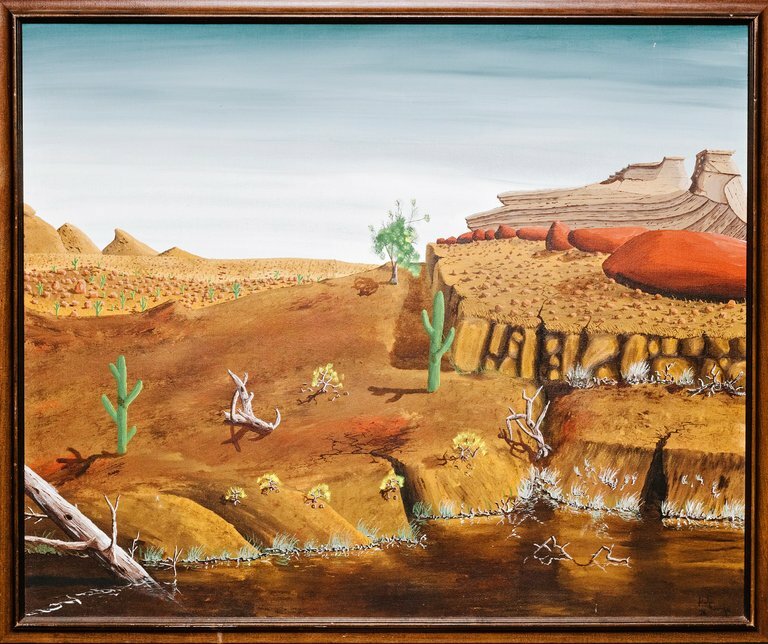 Peter Doig, the artist, whose name does not end in ‘E’, maintains the position that he has never been incarcerated, and has never sold Fletcher his work. In an effort to combat the claim, Doig tracked down Doige, who was in fact a real inmate at Thunder Bay who passed away in 2012. After learning of the case and Peter Doig’s predicament, Doige’s sister has come forward and confirmed that her brother was an inmate of Thunder Bay and that he often painted. However, even with the testimony of Doige’s sister, the federal judge in Chicago has stated that this evidence was still “not strong enough” to stop the case from moving forward. Albeit unusual, there’s a lot at stake in the case. While it involves the reputation of a renowned artist, millions of dollars, and the cultural significance of a work of art, It also prompts a larger conversation concerning the value of art, and how the worth of a piece is determined. It is indicative of the power that an artist has over his work. How a name and a decree of authenticity can take a piece from worthless to worth millions. How regardless of beauty, application, and composition, one person has the power to transform the perception of a piece, and the importance it holds. The fight against authenticity is set to continue in August when the trial begins. We hope to see justice granted to the artist who deserves it. Featured image: ARIS Title ‏@ARIS_ArgoGroup via Twitter.